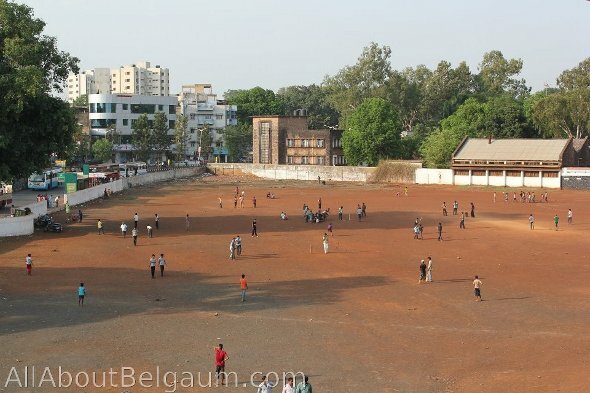 The Belagavi city corporation has floated a tender for Construction of Cricket Stadium at Sardar High School Ground Belagavi at a cost of Rs. 1,00,00,000/- and it will have to complete in 9 months. Now the new plan is worth Rs. 1 crore. This is basically the Sardars high school ground and is used for sports the year wide especially cricket. The old stage on the ground will be renovated. A new gallery for the spectators which has been a long pending demand will be built. A toilet block will also be built for the sports persons. New pitches for cricket, and also marked areas for other sports including some grass carpeting will be done. So it will be converted as one of the venues for ICC 2019 WC. Great!!!! If gallery & parking place built, It will become conjested play ground to play, this will create traffic problem in future, So it is better to plan on some other open places. Great news but where the money 56Laksh in 2012 gone? This will reduce the size of the ground, as done for Fort Lake..
Good News.Also ample parking place should be created.